I painted a picture of a hand-drawn. Using Copic. 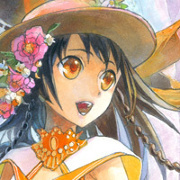 HP http://fuumi.ukime.org pixiv http://www.pixiv.net/member.php?id=10292 Thank you for looking at my picture . Sorry, I&apos;m not good at Japanese.